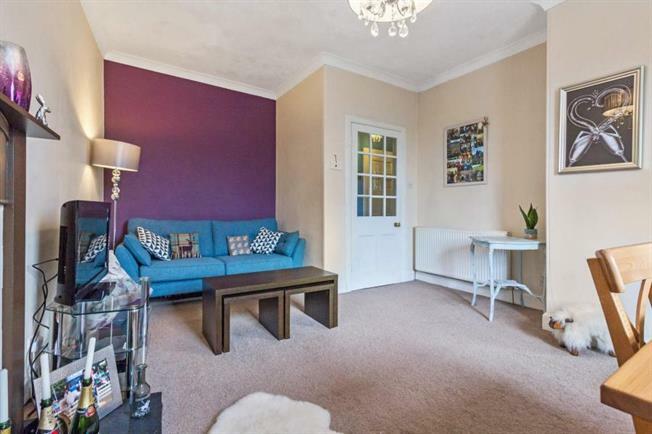 1 Bedroom Upper Floor Flat For Sale in Stirling for Offers Over £76,000. A superb and beautifully appointed upper flat enjoying an enviable setting close to all amenities in Stirling city centre. Main Street is a popular residential area, comprising of varied property styles and is well placed for major road and rail networks which allow ready access to Stirling University and most important business and cultural centres throughout Scotland. Internally the well proportioned and easily maintained living accommodation comprises of a reception hall, lounge with dining area, fitted kitchen, double bedroom with large walk-in wardrobe, shower room and w.c. All rooms are tastefully presented with fresh neutral decor, complimented by quality fitted floor coverings which are included in the sale. Specification is to an excellent standard, including quality kitchen and shower room fittings, warmth is provided by a gas fired central heating system and double glazing is installed. The property also benefits from a security entry system and an attractive communal rear south facing garden. Please note the property is now part furnished.